The Little Woods by McCormick Templeman. Review: Three girls disappear; their bodies are never found. The only connection is the woods - the woods behind St. Bede's Academy. McCormick Templeman has written a captivating novel of intrigue and mystery as Cally Wood tries to unravel the mystery behind the disappearances. This quest is personal, because one of those girls is her sister. With a distraught home life, Cally uses her superior intelligence to gain a scholarship to transfer to St. Bedes in the middle of her junior year. The Academy is filled with other academically talented students, but they are different from Cally because they represent the highest echelon of society. Although challenging at first, Cally finds her way around the life of the rich with the extravagant parties and illicit romances. But that is not her goal. Her goal is to solve the mystery behind her sister's disappearance. A body has never been recovered, so Cally holds onto the hope that her sister is out there somewhere, but if she isn't, then Cally is prepared to hunt down a murder. Ten years separate the disappearance of Cally's sister and her friend from the latest disappearance of Iris, a somewhat quirky girl at St. Bedes. Cally encounters criticism, hate and love as she muddles her way through age-old clues in search of some answers. Can she solve the mystery before yet another girl disappears? The Little Woods is a mysterious coming-of-age novel. Teenage girls will most definitely relate to Cally's character. Attending an elite academy and hanging with the rich, and being sought after by the cutest guys, what more could a girl ask for? But, most girls will more likely relate to the isolation and pain Cally feels as she hears girls gossiping, knowing she will never really "fit in." 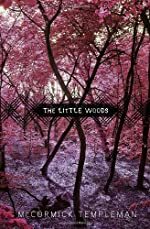 The characters in The Little Woods epitomize high school girls and the drama that undoubtedly ensues. Second to the social dynamics is a captivating mystery. The woods become a beacon of fear as students are not permitted to enter the them. The puzzles Cally encounters add a sense of intrigue. This combination of a mysterious disappearance, clues in the form of puzzles, and the social drama of St. Bedes, work together to create a novel that young adults will enjoy. However, had the mystery truly been at the forefront instead of the social dynamics, the novel would have been far more exciting and even disturbing. But if readers ignore the quote, "Unexplained disappearances. Suspicious deaths. There is something wrong with the woods behind St. Bedes," they will most certainly approach the novel with a more appropriate expectation. The quote presents a novel of fear and suspense, and that is not truly achieved. That being said, The Little Woods, is still a worthy young adult novel. We would like to thank Random House for providing a copy of The Little Woods for this review. Have you read The Little Woods? How would you rate it? This sounds like a book I would never put down. I really like mysteries so it would be fun to ask myself what happens next because this seems like a book that would have lots of those little puzzles to figure out. It also sounds kind of scary to have your sister disappear. I would never be able to put myself in her shoes. This is a great review it really intrigues me to read the book.